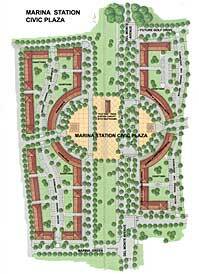 EMC Planning Group prepared the Marina Station Specific Plan for CreekBridge Homes. The Specific Plan provides for the foundation for the development of approximately 320 acres located along the southern portion of Armstrong Ranch within the City of Marina. Undeveloped grazing lands border the Plan area to the north and east and existing city development borders the Plan area to the south and west. State Route 1 runs along the western boundary of the Plan area’s “panhandle”. The Specific Plan provides for a residential development capacity of 1,360 dwelling units, 60,000 square feet of commercial retail, 143,808 square feet of office space, and 651,624 square feet of industrial uses. Of the 1,360 residential units, 822 are single-family units and 538 are multi-family units. 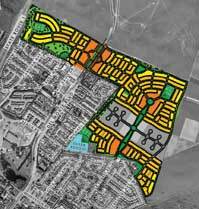 Uses include low, medium, and high-density residential, commercial, office, industrial, parks, and conservation/open space for wildlife conservation and passive recreation. Key plan and project level issues included circulation, wastewater treatment, water supply and treatment, air quality, noise, and agricultural and biological resources. The Marina Station Specific Plan was adopted by the Marina City Council in March 2008.